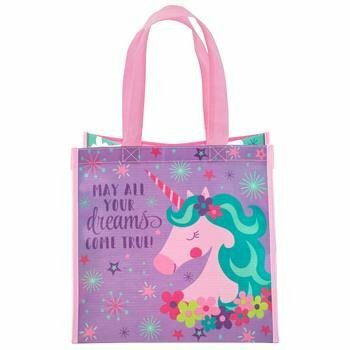 Recycled Gift Bag Unicorn - Grow Children's Boutique Ltd. 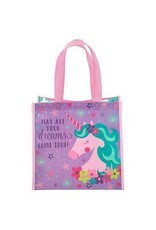 IMAGINATIVE DESIGNS: Bright colors & characters make these recycled gift bags great for all occasions. You’re sure to find one your child will love from our variety of designs. SPECIAL FEATURES: Made from 80% recycled plastic bottles, each bag is made with the environment in mind & is completely reusable. PERFECTLY SIZED: Each bag measured 9.5”x 9”x 5.5” & is a great size for gifts, on-the-go, & more.